Sun is finally out in Ireland so must be time for tag rugby season to being. 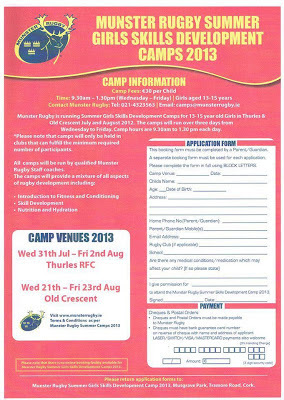 I saw a few notices around this week loooking for female players - and not just for tag rugby but also the main game. 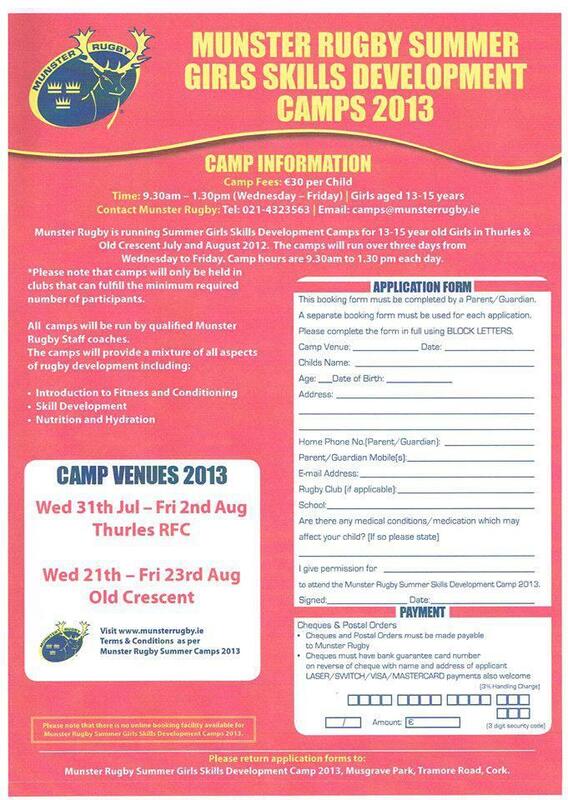 Left is a poster from the Munster Rugby camp - more info here. or just download that poster. And in the build-up to Rio 2016, the Irish women's Rugby 7s team is continuing to do really well. They won the Plate comp a few days ago at the FIRA-AER European Sevens Grand Prix Series in Brive, France. And looking good for their first time out at the Rugby World Cup Sevens in Moscow. First women's matches are on June 29th across the four pools - each with four countries. Ireland is facing South Africa, Australia and China. I have to admit to knowing very little about women's rugby in China so looking forward to seeing how that plays out. You can see the impact of including this sport for Rio 2016 already with increased media attention but more importantly more support from national sporting organisations. Some interesting things arising from that magnetic pull - like Canadian bobsledder and Olympian Heather Moyse coming out of retirement to play rugby as well as her specialist winter sport again. More info on the Rugby World Cup Sevens website.